What does Young Adults affected by cancer mean?? 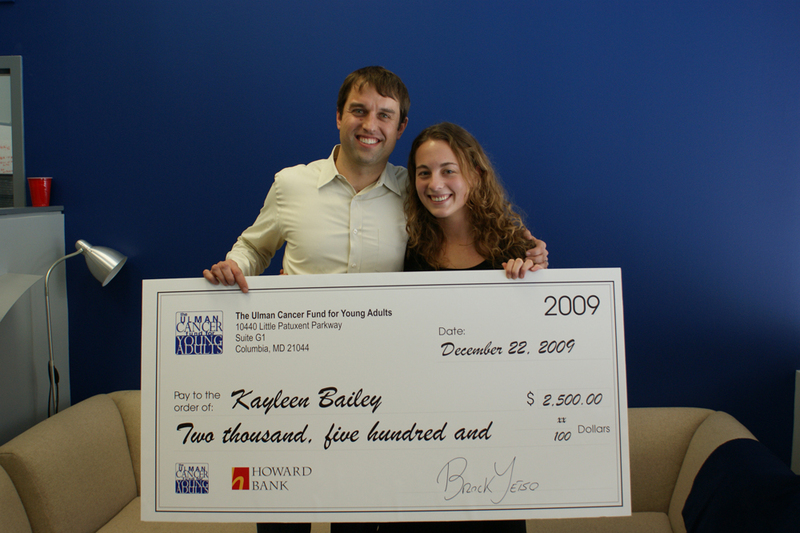 Most people know that at the Ulman Cancer Fund we help young adults with cancer- what people may not know is that another huge piece of our mission is helping young adults affected by cancer through someone elses diagnosis. This is a huge part of what we do and the staff is very proud of it! Here at the UCF we realize that when a family member gets cancer it affects EVERYONE- and many times the family is so focused on the patient that they forget to take care of themselves and don’t even realize the havoc it is playing on their own life. A major driving force of that piece of our mission is our Executive Director, Bock Yetso. Brock is celebrating his 10th year with UCF this year (HOORAY!! )- but you may not know that his family suffered a horrible loss 11 years ago when his mother, Marilyn, passed away after a very quick battle with stage 4 colorectal cancer. He had just graduated from college and it threw his entire life off track. He has taken his lessons and experience from that time of his life and uses it to help other young adults. We memorialize his mother every year through our Marilyn Yetso Memorial Scholarship- awarded to a young adult who has a parent with cancer. One of the few such scholarships nation wide. I am very proud to be part of an organization that recognizes that having a parent (or another family member) diagnosed with cancer is a diagnosis that affects the entire family….. not just the patient. This entry was posted in Uncategorized and tagged Brock Yetso, College Scholarships, Kelly Lance, marilyn yetso, Ulman Cancer Fund for Young Adults. Bookmark the permalink. 1 Response to What does Young Adults affected by cancer mean? ?